After 15 years of service, Columbia Mayor Darwin Hindman has decided not to run for reelection. 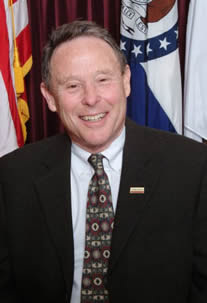 Hindman began his service as mayor in April 1995 and will step down in April 2010. During Hindman’s time of service, Columbia has grown from a town to a city. He credits some of this growth to the diversity and the beauty Columbia has gained since he was first elected. Hindman said, “The big goal is to have a satisfactory life.” He said people choose to live in Columbia because they can have that satisfactory life. 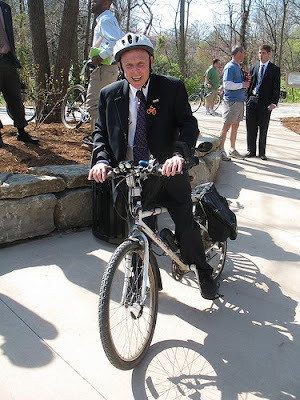 Hindman’s push for parks, trails and bicycling has received national attention. First Lady Michelle Obama mentioned his work in these areas in a speech she gave at the U.S. Conference of Mayors' 78th Winter Meeting. Hindman said he focused on these areas because that was where leadership was needed. “You got to try to put exercise into people’s lives,” Hindman said. He has been a leader in promoting bicycling around town to save money and get healthy. Hindman rides his bike everywhere he needs to go inside the city of Columbia. “I have seen the mayor ride his bike in terrible weather just to get to work,” said Dr. Terry Smith, executive vice president and dean for Academic Affairs and former vice chairman of the Redistricting Committee of Columbia. Hindman has received many awards and honors for his service to Columbia. These include the Columbia Chamber of Commerce Outstanding Citizen of the Year Award, University of Missouri Faculty Alumni Award, Chevron-Times Mirror Publications Citizen Conservation Award and the MU College of Arts and Science Distinguished Alumnus Award. In 2009, he received the Leadership for Healthy Communities Award along with mayors Michael Bloomberg of New York City and Gavin Newsom of San Francisco. Hindman also has been inducted in the Missouri Parks and Recreation Hall of Fame. About his service as mayor, Hindman said, “I had 15 very satisfactory years.” For now he said he will take a break and enjoy his time off with his wife of 50 years, Axie, his two children and four grandchildren. Other leaders at Columbia College also have high regard for Hindman. President Gerald Brouder said, “He is a man of integrity,” and “There’s no one else in Columbia who has a bigger heart for this city than Mayor Darwin Hindman.” Bob Hutton, executive director of administrative services and former city councilman, said Hindman’s successor will have big shoes to fill. “Darwin set a new standard for mayor. When you set a new level like Darwin, expectations are going to be high,” Hutton said.